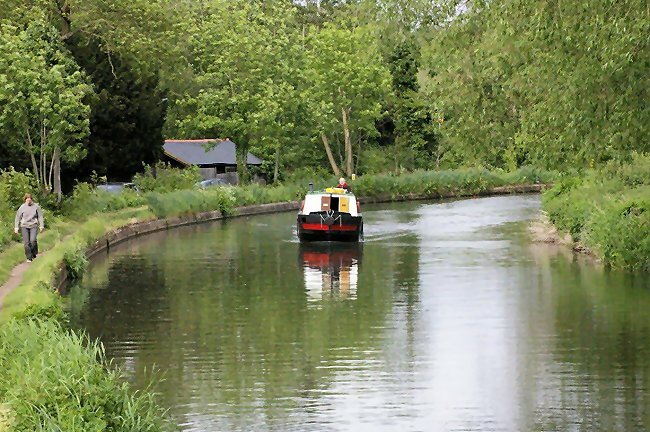 An unidentified barge leaves the straight run from Weybridge Town Lock and rounds the bend at Hamm Moor. Photograph taken from the footbridge. 16th May 2009. 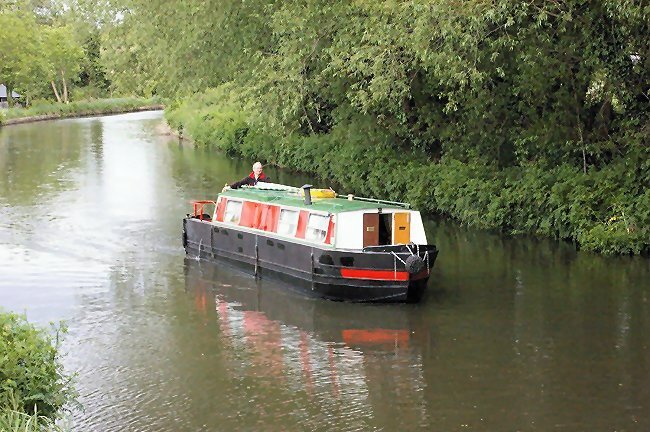 Another view of the barge at Hamm Moor. 16th May 2009. 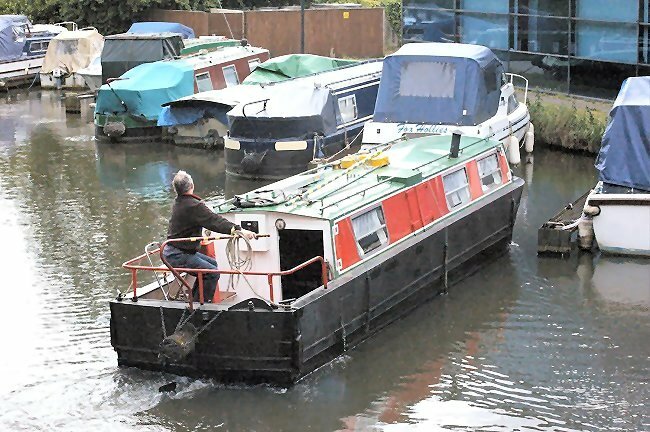 Having passed under the turnover bridge the barge manoeuvres into its mooring. 16th May 2009. 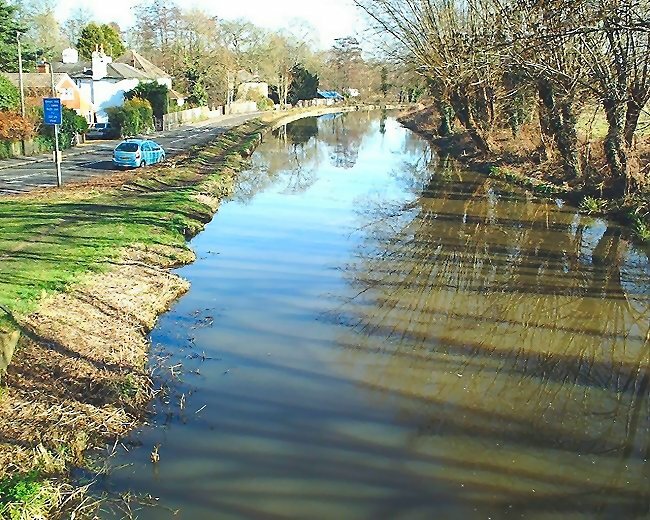 The canal at Hamm Moor, looking towards Weybridge. 9th February 2008. 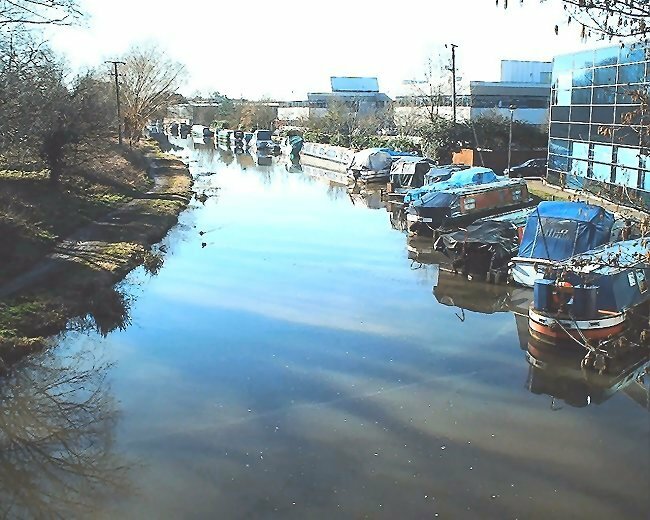 The canal at Hamm Moor, looking towards Pelican Wharf and Woking. 9th February 2008.